When we did live in a “normal” home, it was fairly close to that average home size. The house we owned in the St. Louis, Missouri area was around 2,500 square feet if you included our finished basement, and it was just for myself, my husband, and our two dogs. While more and more people seem to be purchasing larger homes, that wasn’t the case for us. We sold our home a few years ago and made the somewhat unconventional choice of living on first an RV and now a sailboat. We made this decision for many reasons, the main reason was that we were already traveling nearly full-time, which made owning a house even more stressful since we were gone so frequently. So, we figured why not just take it a step further and actually travel full-time? The hard thing, learning how to downsize our home! But, we did it! If you are trying to learn how to downsize your home like we did, there are many great benefits, even though it can be difficult at first. We went through all of our possessions, stored certain belongings that we couldn't part with (we have some stuff stored at my husband's parents' home), filled mostly with hundreds of photo albums that my dad left me after he passed away, family paintings, childhood mementos, etc. ), and moved into the RV – and then our boat!! Figuring out how to downsize our home wasn’t the easiest task on earth, and really we dreaded all of the work that had to be done. However, we hoped it would be a stride towards our goal of living the life we wanted. To save money. A larger home is going to come with higher utility bills, higher insurance, more costly maintenance and repair work being required, a higher purchasing price, and other added financial strain. To have less clutter. The bigger your home, the more likely you'll have empty rooms that you feel the need to fill with unnecessary clutter, not to mention the furnishing and finishing of unused space. Now that we live in an RV, we are much more mindful of what we buy. We think carefully about every purchase in terms of weight, size, where we can store it, its utility (“Do we really need this?”) etc. To spend less time on maintenance and repairs. 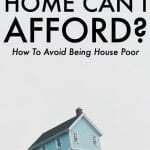 If all other factors between two homes are the same (age, location, etc. ), a bigger home with more appliances and furnishings is more likely to take up more of your time due to the natural wear and tear that inevitably comes along. To spend less time cleaning. A larger home is going to take a lot more time to clean than a smaller one! Whatever your reasons may be for thinking about how to downsize your home, here are my tips. Make a plan for downsizing your home. The size and layout and of your new home. The time you have available to downsize your home can have a considerable impact on your sorting process, not to mention the stress involved. Don’t forget that moving is considered one of the most stressful life events – adding a time crunch to that could add even more stress. 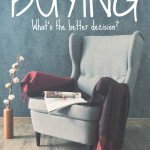 Which of your belongings you will want to keep and which ones you want to part with, and how you plan on getting rid of those things – Sell? Donate? Simply give them away? What do you think you just cannot get rid of? I think the hardest thing when figuring out how to downsize your house is deciding which things you will get rid of. To make this easier, start setting aside or listing things that you believe you just cannot part with. Your list may start out long, but it will help you decide what items you don't need and which you should get rid of. What can you easily get rid of? If you have the time, then you may want to start getting rid of things that you know you don't need as soon as you can. By doing this, you can clear a lot of clutter which should also help you realize some of the things you thought you needed aren’t actually necessities. Usually getting rid of the first few items is the hardest. Once the ball is rolling, it gets much easier to downsize your home! Think about why you want to keep certain items. Memories. There are some sentimental items that may cause you to have strong feelings when it comes to letting go of them. Items connected to good times with family and friends have an emotional value which is hard to quantify. The cost of the item. Is how expensive an item was really a measure of whether you need it or not? It may sting to feel like you unnecessarily parted with a huge chunk of cash, but the savings you make from downsizing your home should more than make up for this. Plus, you never know, if the item is in good condition, you may even be able to sell it for a price close to what you originally paid. How long you’ve owned something. When downsizing, you may find things you’ve had forever but forgot about. The length of time you’ve owned something shouldn’t determine whether or not you keep it. Ask yourself honestly – when was the last time that I actually used this? If you just don't have the room in your new home, you should really dig deep and figure out why you believe you need to keep so many items. Talk about your reasoning with your family or out loud to fully grasp it. Doing so may help you realize how ridiculous your logic may be. Sometimes, you may laugh at your reasoning, and this may help you get rid of an item more easily. Find ways to store documents digitally. For me, I just couldn't bring myself to store my dad's photo albums digitally, even though numerous people have told me to scan them and throw them away. The memory is in the actual photo albums as well as the photos, as my dad loved photography and we would often put the photo albums together as a fun project. However, there are many other non sentimental things that you can store digitally. This includes tax information, receipts, paper documents, and so on. The average person stores thousands of papers! Paper is a big reason for clutter, and so many people keep items that they don't need. Go through your documents and start either digitally storing them or recycling them. We kept just one binder of papers and scanned the rest. It was very easy to do, and getting rid of all of that paper was incredibly satisfying! Learning how to downsize your house means you’re going to have to go through everything. But, doing it all in one day would be an overwhelming task, and that would be even more added stress. Instead, you should give yourself as much preparation time as possible to carefully plan the move and really think about what you do and don’t need. This means that you may want to take a few days, weeks, or even months to go through your home. Start off room by room and see what you can get rid of. Then, when you are done doing that, go through everything again and again until you are down to the amount of items you absolutely need to have. By doing this process, you will clearly see what you need and do not need, and this is because you will be able to see how much you have, evaluate items more clearly, apply past reasoning to other items you think you can't get rid of, and so on. Donating items makes getting rid of things and downsizing your home a little easier. By knowing that your items will be better used by someone who actually needs them, you are giving your stuff new life! If you have a large amount to donate, many donation centers will even come to your home, which can make getting rid of items a breeze. Plus, you'll feel great knowing that someone else is able to make use of and enjoy your former belongings. Because downsizing your home is so stressful, this can be one sweet spot in the process. Think about when the last time was that you used an item. Many people keep items that they hardly use or have never used, yet keep and store them anyways. 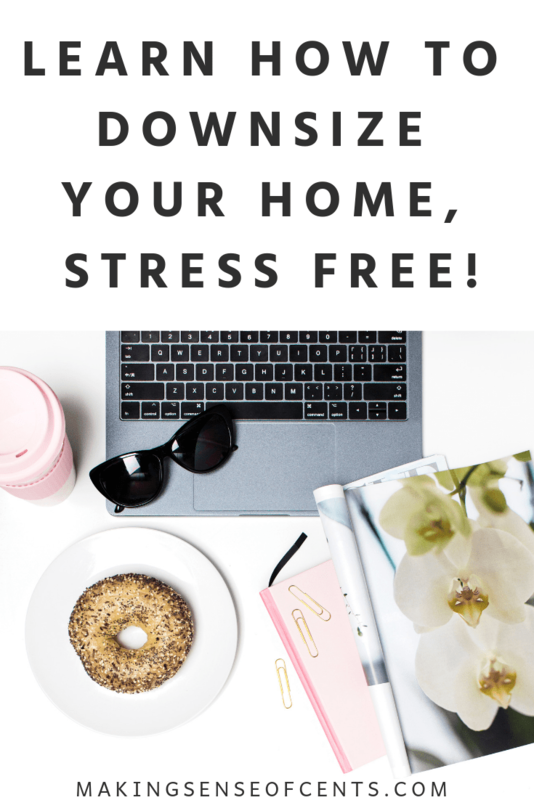 This was a hard thing for me, and it might be hard for you too if you are deciding how to downsize your home. If you want to start downsizing your home, you should think about the last time you used a specific item. Once I realized how ridiculous it was that I was keeping things that I might possibly use five years down the line, everything got easier. This became a big reason for why I was able to get rid of so many of our things. I just sat down, created a list, and thought about the last time I used a certain item. For many things, it seemed like years had passed since I had actually used that item. For some things, I knew I didn't actually need to use them when I thought I did. So, you should do the same. Be as honest with yourself as possible. Think about when you last used an item or if you will ever use it in the future. If it’s something that you only use occasionally (an appliance or yard tool for example) perhaps you could borrow or rent one should you ever need to in the future? If it’s something large, heavy and hard to store, I’m certain that you’ll feel the relief of not having to lug it around with you anymore! If you have no space for items in your new home, but you still have a huge pile of things that you want to take with you, you may want to think about just completely getting rid of your “maybe” pile. After all, these are “maybes” and you probably don't want them as badly as you think! This can make downsizing your home much easier in one swoop of a decision. So that you are less likely to have as much clutter in the future, you should evaluate future items before you buy them. In the same way as you considered which of your old items to keep, you should think long and hard about whether you truly need something, whether you should buy, borrow, or rent it if you won't need it in the future, and think about where the item will be stored in your home. We do this now that we live on a sailboat. We think about every purchase in terms of weight, size, where we can store it, and more. This has helped prevent us from buying many items because we knew that it wasn’t realistic to store them in the first place. How big is your house? 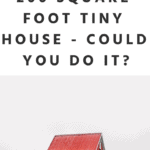 Have you ever thought about how to downsize your home? good thing you brought up this topic about downsizing your home.one thing I’ve been doing recently is putting up many things for sale online in selling many of my possessions that no longer have a use for. And also selling possessions I own from almost 30 years ago that I know is worth something today that I can use for paid advertising to increase revenue for my online business and side hustle millionaire establishment. Great article Michelle. In America, we seem to be so caught up with thinking bigger is better but we end up filling our houses with more junk. 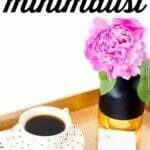 Minimalism is great for reducing stress that comes with clutter! This post is helpful. not just for downsizing but for clearing clutter as well! We aren’t looking to downsize our home, it’s small enough, but I am in the process of getting rid of clutter and organizing, and I’m having to do exactly the same thing. I ask myself, do I really need this or is it just taking up space. I’m going to try this as I continue to sort through the stuff we are trying to decide whether to keep or get rid of. I have a box of papers that has sat on top of my hutch for the last 3 years. The only reason it’s still there is because there could be papers that have personal information and I’ve not had access to a shredder to shred it. Great post! Good point about the papers. People tend to let them accumulate. Some records do need to be kept for a certain amount of time, but they can definitely be kept digitally. For me it was a microapartment I had in DC, probably not a whole lot bigger than your RV. It was a nice place, but I did have to be mindful of what went in (I got rid of a TON of stuff, including very expensive stereo equipment I bought 15 years earlier that I hadn’t even hooked up.) I still accumulated some things, and then a cross-country move encouraged me to give that stuff up. If it wasn’t worth paying someone to move it, I didn’t need it. Trash or donation. Great read, Michelle! It’s amazing how we accumulate stuff over the years. My wife and I’ve moved a few times over the the last 3 years. I’ve been lugging around boxes of stuff I don’t need. Stuff I haven’t unpacked in years crowds my basement office. Very informative. 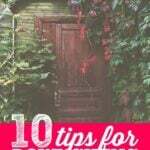 Downsizing can certainly be a big task, but these tips are very helpful. I have been slowly decluttering and downsizing out stuff over the last two years. I agree that going through a room, getting rid of stuff and then going through it again is a good idea. 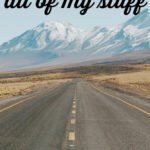 I was surprised at how much stuff I found after decluttering one room and then going through it again. We are working on digitizing a lot of our paperwork and old photos, it’s time-consuming but we are slowly emptying out filing cabinets and other spaces that were filled with them, making our house feel much bigger. Our home was built in 1954, we have 1,800 square feet not including the unfinished basement. About 800 of those feet are the upstairs which was formerly an attic (so the home totally would have been 1,000 originally). Lately we’ve talked about downsizing, however, we would like to stay in the same community and real estate is very hot. Like I truly don’t know that we could find anything else. I’m not sure when this will change to be honest. I know the economy won’t stay the same forever and we are financially wise but it feels a little uncomfortable to feel like we don’t have other options on the table. I guess what I’m saying is I would rather keep the larger house for now than have no house or be forced into something I didn’t really like.